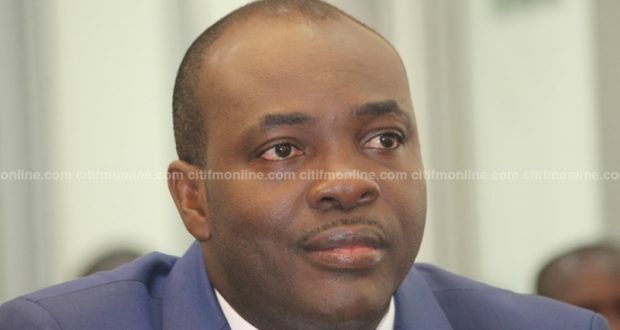 Mr. Isaac Kwame Asiamah, Minister of Youth and Sports, has said, the Akufo Addo government, is bent on fulfilling its promise of building multi-purpose youth and sports resource centres across the ten regions of Ghana. He said the government made a promise to empower the youth through sports development and infrastructure, which was a major tool to avert crime and other social vices. Mr Asiamah made this known when he inspected ongoing works at Dunkwa-on-offin in the Central Region, where all four stands for the multi-purpose youth and resource centre, have been constructed. In an interview, Mr Asiamah noted that the youth deserve to have decent facilities to unearth and harness their talents. “What you are seeing here is in line with a promise by the government to develop the capacity of the youth through the provision of modern facilities. “We made a promise to the chiefs and people of Dunkwa, and its environs and we are bent on seeing it completed within schedule, though there are few challenges”. According to the former chairman for the Parliamentary Select Committee on Youth, Sports and Culture, the government’s main concern was quality of work at all the centres, but not the completion time. “Though there have been some delays and challenges, but we are not going to rush any contractor to do shoddy work but a good work that can stand the test of time. “This is a facility, which would be used by the future leaders and as such must be decent, well built and modernized,” he added. Meanwhile, the ministry and the National Youth Authority (NYA), have started the training of young and energetic youth in stadium management and maintenance. They would be employed at all the youth and resource centres to manage and maintain the pitches and other facilities. The multi-purpose youth and sports centres, when completed would house over fifteen sporting disciplines, including football, handball, basketball, volley, tennis as well as ICT centre, Entrepreneurship centre, counselling centre and a modern restaurant and shops.